Fear Effect: Sedna is the newest installment to the Fear Effect franchise. It’s been almost seventeen years since Fear Effect 2: Retro Helix released back on the original PlayStation. As a fan of the franchise, I was ecstatic when I found out Fear Effect was being revived by developer Sushee via Kickstarter. Unfortunately, the results are a bit mixed. 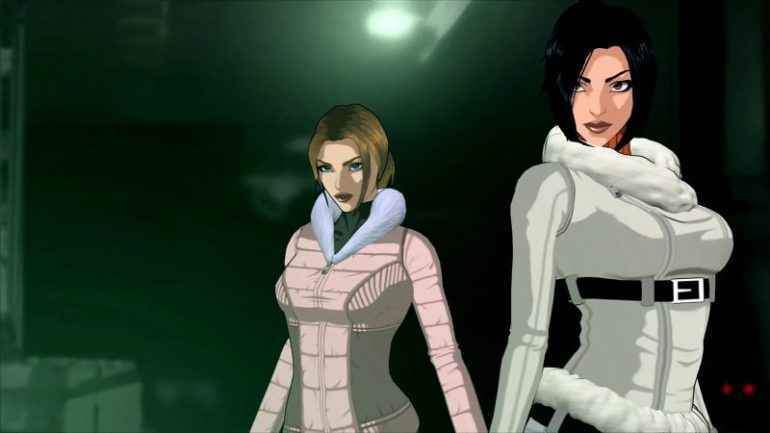 Fear Effect: Sedna takes place four years after the events of the original Fear Effect and follows Fear Effect’s secret true ending. Hana, Rain, Glas, and Deke return in another another adventure, this time taking on a supernatural force from the Inuit Mythology. Hana and Rain are hired by a mysterious man to recover stolen artifacts only to discover a much more sinister plot that sees the heroes take on a mysterious organization hell bent on human experiments and resurrection of Inuit Godless, Sedna. Fear Effect: Sedna’s story isn’t the best, but it works for a Fear Effect game. Fear Effect has always been a weird franchise that sometimes takes itself seriously and other times not. The writing is good, but the performances leave a lot to be desired. In a way, it’s as if Sushee tries to keep the spirit of the original alive, but it hurts Sedna in the long run. I’m not saying it’s all bad, though. Hana and Rain sound just fine, but other characters sound horrible; some you can even tell are speaking with a fake accent. whether that was intentional or not, only the developer would know. 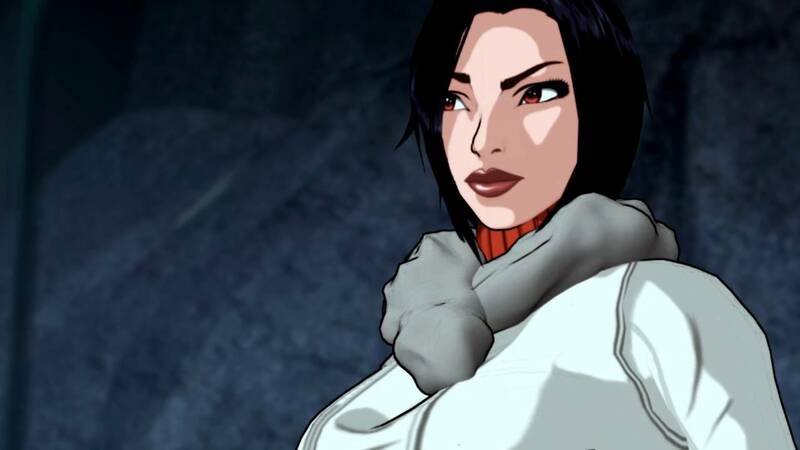 Fear Effect: Sedna’s gameplay is a huge departure from the original titles. Sedna takes a more tactical gameplay style with an isometric camera this time around. Sedna allows you to take control of up to five characters. Each character plays compliantly differently from the others with their unique skills. As you move around the various locations you can go in stealth or guns blazing. Stealth is my preferred play style in Sedna because it felt more natural with the isometric camera. For some weird design decision, stealth is the only way to see the vision cones of your enemies. Knowing what your enemies see is key to striking from behind. However, some problems with stealth came early in the game though. Some parts of the location look like they are clear cover points, but for some reason they don’t count as cover, and enemies constantly see you. It was really annoying when I would hide behind an object only to see the enemy vision cone see right through it. Thankfully, it didn’t happen often. Once spotted the game goes down hill. Gun combat is not the best. Sedna has you select your target with the right analog stick and fire away. The problem with the underplay is that all the enemies turn their attention to the character you’re controlling. Plenty of times I would be in control of Hana and get killed in seconds after a gun fight brakes out, but the rest of my team would have full health. Fear Effect: Sedna also features a tactical menu. By pressing the touch pad, I could go in and give orders to each of my team mates, like move them around the area, tell them to place down traps, and attack specific enemies. I appreciate the tactical menu but found myself almost never using it, as the situations I found myself in were mostly gun battles down a long hallway. 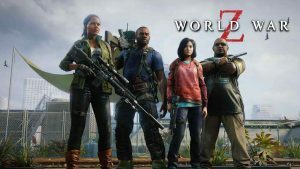 Each character has unique weapons they can use as well. Your primary weapon has infinite ammunition, but the two optional weapons have a cooldown time with limited use. Hana’s is able to plant mines, exploding as enemies run over them. Glas’s is able to throw grenades and set up automated turrets. Each character has a unique set of weapons to use, and each one works for the various situations they are placed in. For most of Sedna the characters were separated from the rest of the team, and I was forced to use specific characters, allowing me to learn how to best utilize each character. Another aspect that returns to Sedna is the Fear Effect.itself. As i’m constantly placed in stressful situations such as gun fights, the characters start to experience fear, which is indicated by a heart beat monitor next to each character’s icon. Fear is a double-edged sword, though. The higher your fear gets, the more damage you will do but the more damage you will take. It’s a unique system, but it’s one that doesn’t really give you any control of it outside of getting through situations using stealth. Puzzles have always been a big aspect of Fear Effect, and Sedna is no different. Sedna has some of the most satisfying puzzles I’ve experienced this generation. All the clues to solve them are located in the level you’re in, and some of them took some serious thought to figure out. What’s great are the signature death sequences for failing the puzzles that have returned as well. Every time you fail a puzzle, you will get a unique death sequence, which is a great homage to the franchise. Fear Effects signature art style returns with Sedna and still holds some weight. Fear Effect’s unique cel-shading was ground breaking on the original PlayStation and works very well to this day. The character models are well animated and the isometric camera angle allows developer Sushee to get away with making the environments look good but not worrying about the smaller details. I wish the return of Fear Effect would have been something to celebrate. Unfortunately, it ends up being a mediocre attempt to revive the franchise. 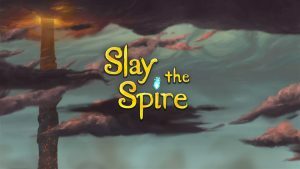 The changes to a more tactical game should have worked out pretty well, but they end up hurting the game with the limited need to actually use the tactical menu. Fear Effect: Sedna keeps the spirit of Fear Effect alive, but Sedna is not the best attempt in reviving this franchise. Fear Effect Sedna is a stylish but ultimately mediocre tactical take on a franchise that arguably deserved better.